I Am the Night explores the real-life Black Dahlia murder in Los Angeles. The new TV miniseries airing on TNT is a real-life crime drama that features a wonderful connection. Director Patty Jenkins reteams with Chris Pine in this six-part limited series after working together on the hugely successful superhero movie. The second time’s the charm for Pine, who gets more to do than just being arm candy for the Amazing Amazon. Here, he’s featured as washed-up journalist Jay Singletary, who has lost his once-promising career after exposing the exploits of a wealthy, powerful doctor. 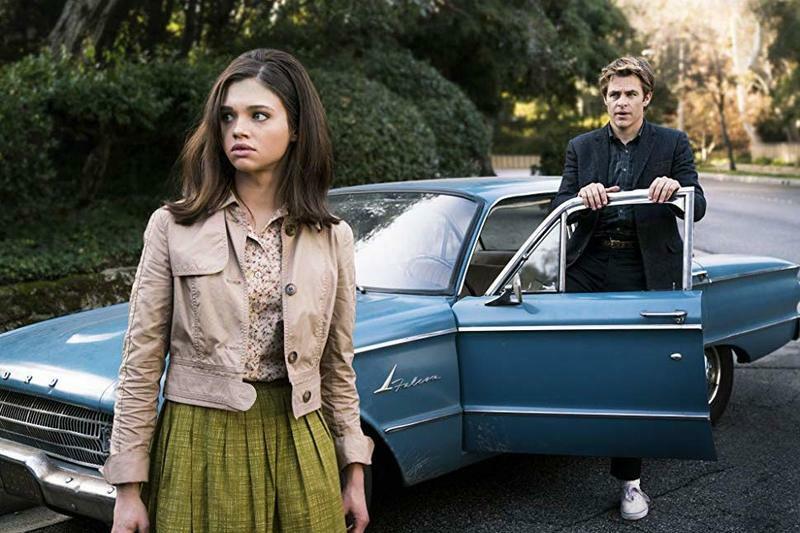 Linked to the Black Dahlia murder of 1947, the case goes cold until the young Fauna Hodel (played by India Eisley) slowly unwinds her personal past, while trying to figure out her place in the world. Growing up in a biracial family and feeling like an outcast, when the teenager learns about her secret identity, she runs away to Los Angeles to meet her long-lost family. By the time she arrives, she might have bitten off more than she can chew, as she’s introduced to a whole new world where she might not be welcomed. Thus ends Episode 1 with a cliffhanger. I Am the Night feels like a film noir, but more accurately it should be classified as historical fiction, which I really enjoy. However, how much of the on-screen story is really true? Dealing with topics that are “based on a true story” or “inspired by true events” can ALWAYS be tricky when determining what actually happened, but this one is actually adapted from One Day She’ll Darken: The Mysterious Beginnings of Fauna Hodel, written by Fauna, herself. So, it’s got that going for it. To this day, the sensationalized story still remains an unsolved murder, which creates even more intrigue. The pilot also has a lot going for it. Besides the wonderful acting and directing the filmmakers have brought to the small screen, the California period sets are really drenched within the time period and some on-screen locations were actually filmed at their historic locations that are still standing today. They look great! There are a couple of unknown variables at play for the series, though. Patty Jenkins only directs the first two episodes, followed by Victoria Mahoney and Carl Franklin. It helps that Sam Sheridan is the credited screenwriter for the first four episodes, although through one episode, I couldn’t tell whether Fauna or Singletary were the main characters — perhaps they’ll both be used as secondary characters, behind the soon-to-be-discovered murder victim. But for now, they both seem to be integral McGuffins to help develop the ongoing storyline. I Am the Night, as a title, feels a little generic, but so far, at least, it feels like a series that should be worthwhile of your time. If you don’t catch it now, as each new episode airs in consecutive weeks, make sure to binge watch it, once they’re all available.